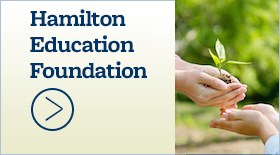 Hamilton Education Foundation plans May 11 Auction Dinner - Hamilton School District. 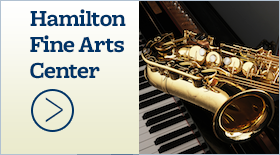 Join the Hamilton Education Foundation for an evening of fun May 11 beginning at 5 p.m. as it celebrates its 2019 Auction Dinner. The fundraiser will be held at the Milwaukee Marriott West, W231N1600 Corporate Ct., Waukesha. The evening features raffles, games, silent auction, dinner, live auction and Grand Raffle Drawing. This year, Grand Raffle prizes will be $1,000 for first place, $500 for second place, $250 for third place and $100 for fourth place. Ticket prices are one for $5, three for $10 or 10 for $20. Proceeds from the dinner auction will benefit educational opportunities for students in the Hamilton School District. This event is sponsored in part by Neumann Developments, Inc. There is still time to become a sponsor or donate items for our auction. 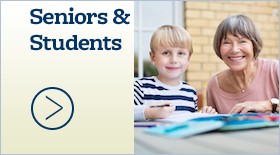 Contact the Hamilton Education Foundation at hef@hamiltoneducationfoundation.org for more information. 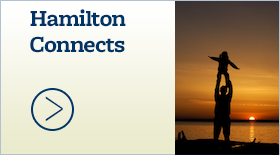 For more details, please visit www.hamiltoneducationfoundation.org.